Professional Results are Simply a Click Away! Get the home remodeling projects you want quickly and easily. From installing new lighting fixtures to electrical repairs, local, licensed electricians can help shed light on your home’s electrical needs. Keeping the roof over your head in good condition is a necessity for any homeowner. When you need your roof repaired, cleaned, or inspected, turn to our professionals. Whether you’re looking to have your gutters cleaned out or have new ones installed, local professionals will be able to provide you with reliable and fast gutter services. 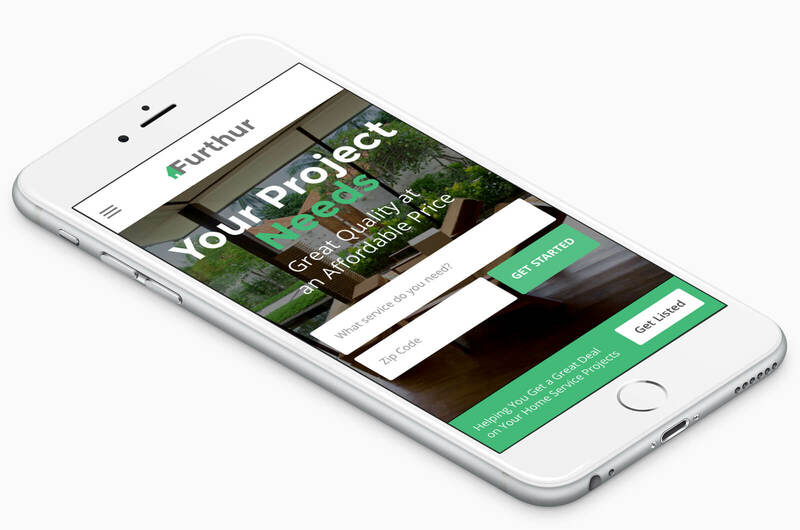 At Furthur, we believe in helping you get your home remodeling projects done as easily as possible. To meet that goal, we’ve created a reliable system that connects you, the homeowner, with professional contractors who have proven their skills, experience, and reliability. No matter what kind of home remodeling project you’re looking for - whether it’s getting your fridge repaired, repainting the interior of your house, or doing some landscaping in your backyard, our network of professional, local contractors know how to help you achieve the home of your dreams. Have a project in mind? Let us help you achieve your dream home! Simply tell us a little bit about the type of project you have in mind and then it’s easy to get in touch with the perfect contractor for your project based on your budget, your ideas, and your timeframe. You’ll even get a free estimate on your project without any obligation! It’s that simple! Find the right service at the right price. Simply browse through our list of services to find the perfect project and price for you. Pick the contractor that best fits your project, your budget, and your timeline. © 2019 Furthur, a division of Triares, Inc. - All rights reserved.